Home / Politics / See how RUTO approached RAILA ODINGA to help him “betray” UHURU in 2018 – This is why the President no longer trusts him! 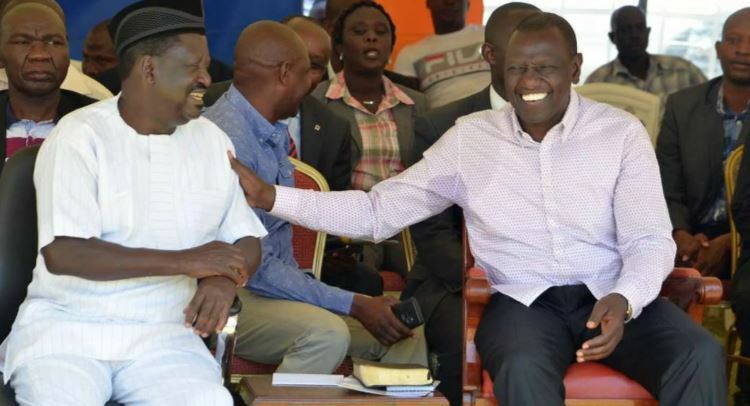 Thursday April 11, 2019-Orange Democratic Movement (ODM) Secretary General, Edwin Sifuna, has termed Deputy President William Ruto as selfish leader who wanted to betray President Uhuru Kenyatta in 2018. In a statement on Wednesday, Sifuna said Ruto approached opposition leader Raila Odinga shortly after Uhuru was re-elected in 2017 and urged him to help him deal with the president. “He attempted to sell the narrative of 'finishing our common enemy' to Hon Raila Odinga, who declined the offer. Now he wants to blackmail both Rt Hon Odinga and the President at the same time!,"Sifuna said. Sifuna urged the DP to stop dragging Raila into his troubles in Jubilee and instead take his issue to the President. “This is why he is the greatest enemy of the Handshake and desperately wants to see it fail. We once again advise him to raise his objections with his boss and stop his obsession with our Party Leader,"Sifuna said.